Preheat your Yoder Smokers YS640 to 350ºF. 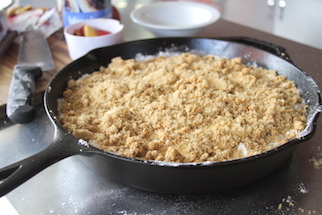 Spread the pie filling out in the bottom of a Lodge Logic 12” Cast Iron Skillet. 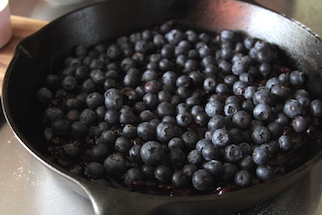 Pour the fresh blueberries over the pie filling. 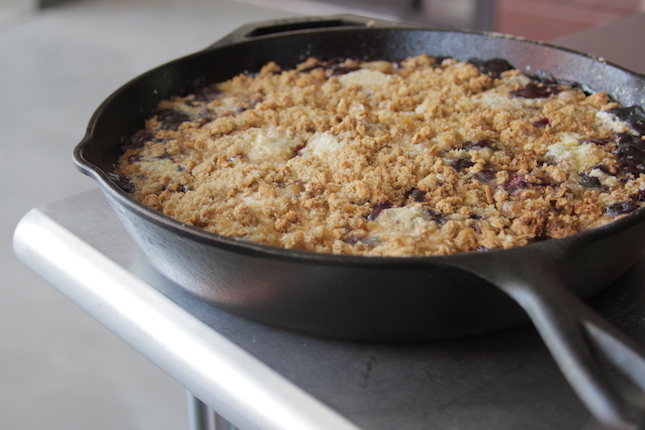 Spread the cake mix evenly over the blueberries. 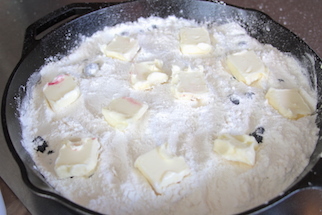 Cut the butter into about a dozen pats and place them on top of the cake mix. 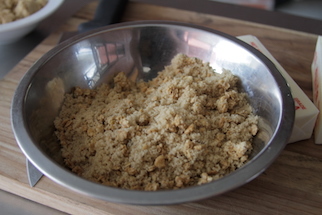 Combine the brown sugar and granola and sprinkle over everything. 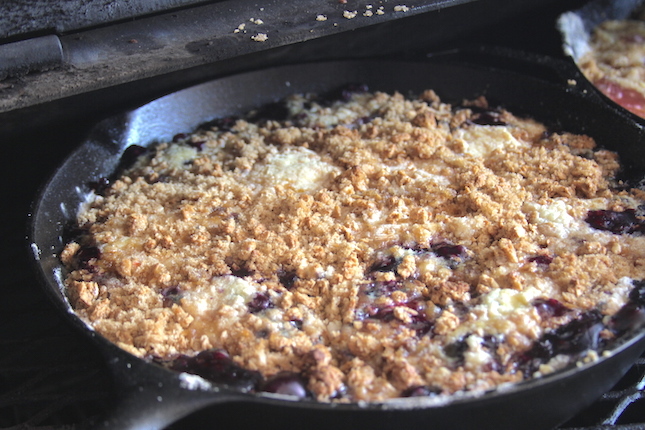 Place the skillet on the second shelf of the cooker and bake for about 45 minutes, until cooked through. 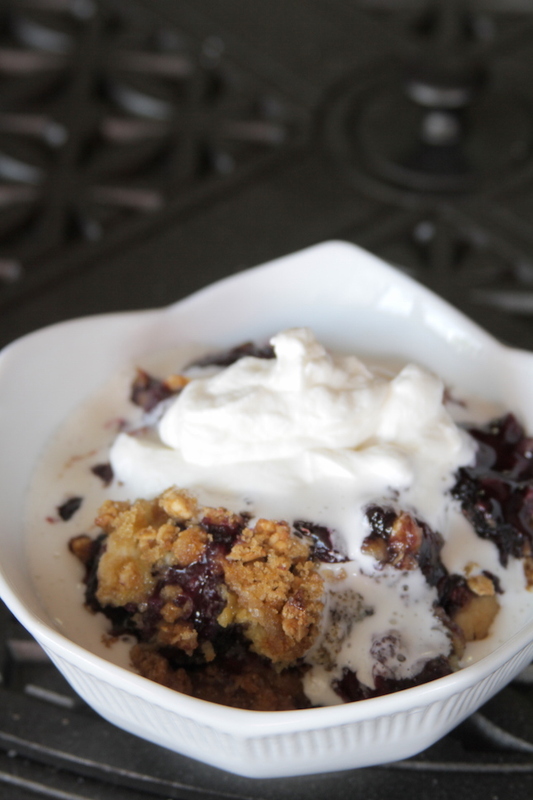 Serve with bourbon whipped cream.Bourbon Whipped Cream- Whisk the cream until slightly thickened. Add the sugar. Whisk to stiff peaks. Whisk in bourbon.